As the new Creative Makeup Director for Estée Lauder, Tom Pecheux, the famed makeup artist extraordinaire, has set the stage alight with immediate effect. Twenty four eyeshadows and twenty four lip glosses, two quints palettes, two nail polishes and a two-tone vision of Blue Dahlia and Surreal Violet await your delectation. I was privileged to attend an evening showcase of the new offerings. I was secretly hoping Tom Pecheux would be there in person, but the venue was instead merely decorated with images of his handsome visage peering confidently down, with quotes elaborating on his inspiration. The best thing about this launch is the sense that it does indeed truly feel inspired. The colours and finishes reveal a master who has seen it all, yet still now reinvents and reinterprets those classic winning colours. Whoever chose Tom Pecheux for Lauder, hit gold. 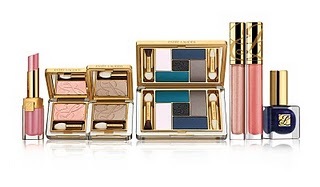 His collection is modern, but respects - venerates - the class and elegance that the Estée Lauder name has nurtured for so long. There was champagne and great company, especially Pixiwoo! (love them!) The swatching began, and everyone was unanimously impressed. 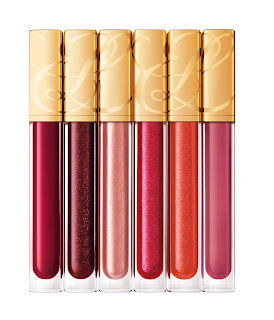 *The lipglosses are available now and will be permanent, the eyeshadows come out in July, and the eyeshadow palettes and nail polishes also come out in July (Selfridges; Brown Thomas) or August (nationwide counters). The wide array of lipglosses (£15) supposedly come in three finishes: Shine, Shimmer and Sparkle - good luck to anyone who can group them. 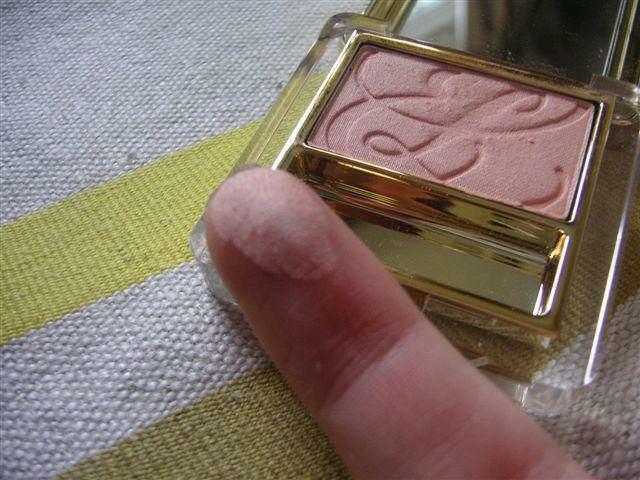 Simply Pink is not as pigmented as it swatches, but it's a wonderful understated luscious lip to go with dramatic eyes. The collection, as seen on the model, is matte face (no blushers or bronzers were launched), heavy smoked eyes, and natural shiny lips. The gloss has a doe foot aplicator and the colour and shine last a good few hours. The eyeshadows are the standout though. These shadows are superb! 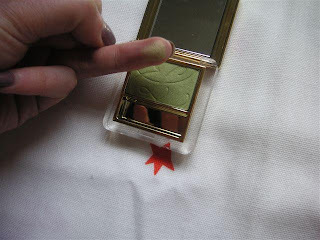 Smooth, creamy, pigmented, and you get 2.1g for £15.50, which is effectively the same price point as MAC, yet the gold luxe packaging and mirror really make it feel reliably high end. These will last you a while. The colours are beautiful and dynamic, and even the pale shades manage to be surprisingly individual. Twilight Rose and Enchanted Meadow (a pale pink and pale green respectively) are interpreted as delicate peachy sheen, and cool pistachio. These work well as lid colours, highlight colours, accent colours or worn together... which is like an angel wing! The deepest sparkle shades (dark navy Midnight Star, pictured, and shimmering black) are intense and work brilliantly as eye liners or lid colours. They have masses of silver flecks but the blue I have has not suffered fallout. I use it with a MAC 219 brush to outline my eyes. The palettes (£34.50), Blue Dahlia and Surreal Violet, are cleverly assembled to collect every facet of blue and purple, which allows for a multitude of eyeshadow creations. The white shades in both palettes are wonderful: the Blue Dahlia white can actually be used as an eyeshadow transformer, as it's iridescent! And the white in the Surreal Violet palette is silver toned and takes on a lilac cast. The purples and greys effortlessly achieve the ultimate Autumn smokey eye. The best shade is the blackberry square, so creamy - and expertly pitched to intensify the other colours. 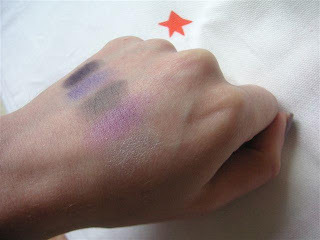 All of the eyeshadows last really well through a long day. They are buildable, so can either be worn demure or intensely layered for bold smokey looks. I highly recommend you pick at least one up! This is how an eyshadow should be folks. And finally, the nail polish (£12). 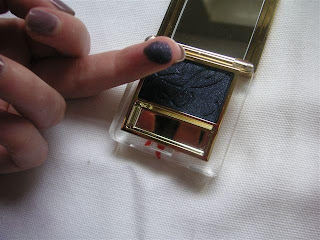 There are two: the eponymous Blue Dahlia, which is a dark almost blackened navy, and Surreal Violet, a hybrid of the trend for grey beige (Chanel Particuliere, Essie Mink Muffs, etc) but with a secret peach pearl undertone, all enveloped in lilac. It simply is un-dupeable, and a must-have. I am wearing it with Essie topcoat and it's been on almost a week! 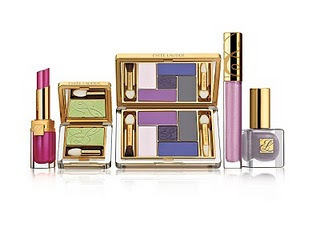 Check out your nearest Estée Lauder counter this summer, to get your winter makeup in the bag! Oh and P.S, you might want to grab Bronze Goddess Bronzing gel if you haven't already - it's been on heavy rotation for me and has made it possible for me to use these distinctly wintry shades but still look summery. Thanks so much to Estee Lauder for a wonderful event, and this beautiful goody bag. The palette looks really interesting. I'm also making a video which should help you out with a much better idea of colours. Really like the colors in this collection. Of course, you know me I love the neutrals. I do like the single e/s better than I do the palettes for me. The palettes look so cool-toned but gorgeous nonetheless. I'm most excited to try the nailpolishes. I need both of those! Thanks so much sharing! The secret to being wrinkle free?